You‘ve likely have seen these 2×4 turkeys online or around town. There are popular DIY craft for Thanksgiving and they’re a fun way to celebrate the day of thanks. 2×4 turkeys are easy to make and are created with a square 2×4, craft sticks, the end of paint mixing sticks, some paint, and some fun items to help decorate and embellish your turkey. Here’s one great tutorial from U Create for this 2×4 turkey. Once you’re done with your 2×4 turkey place it outside your front door to welcome all of your guests. Use some ReColor by Wipe New to give your masterpiece a great shine and to protect it from the elements. Finally, a no-mess alternative to painting! No more: paint brushes, spray cans, tape, drop cloths, messy overspray, or ugly drips to clean up! 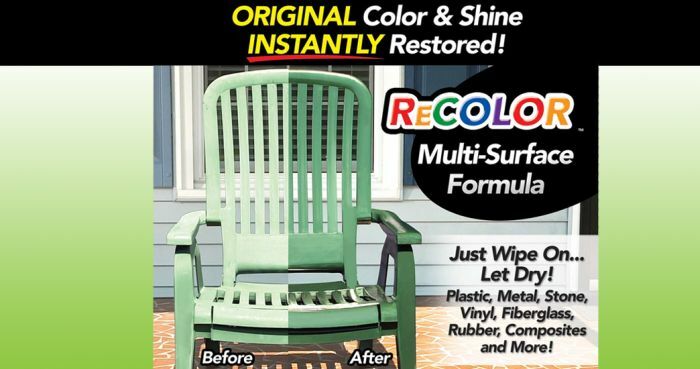 ReColor by Wipe New® is the first ever wipe-on clear coating and sealant designed to wipe away years from outdoor furniture, grills, shutters, fixtures and more in just a few minutes! There’s never been a better way to protect and restore! First, clean and dry the surface. Then simply remove the pre-soaked starter cloth from the package and wipe over the target areas for a shiny new look. Unlike traditional coatings, ReColor by Wipe New does not lay on top of the surface. Instead, it becomes one with it restoring original color while adding new properties that protect the surface from UV and liquids to keep it looking new for years! That’s right! The ReColor by Wipe New proprietary nano-polymer formula penetrates deep to protect and restore for years against elements including oxidation, fading, sun and water damage and more! 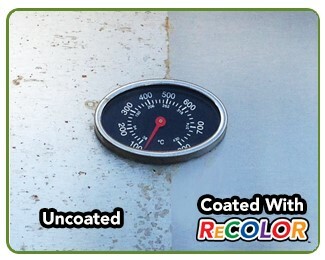 ReColor by Wipe New® restores and protects Shutters & Sidings, Patio Furniture and Grills, Window Trims, Metal Railings and Hardware, Garden Accessories, Lighting Fixtures, Grills and Mailboxes, Kayaks and Golf Carts, and Countless other applications including vinyl, plastic, stone, or metal surfaces! Each ReColor by Wipe New Kit includes a 2oz bottle of Recolor, one pre-saturated starter Wipe-It infused with ReColor, 3 applicator cloths, one microfiber sponge, one pair of nitrile gloves, and one detail swab. This is enough ReColor to cover 100 square feet! For comparison, it would take 7 cans of spray paint to cover the same surface area! ReColor saves you time AND money! 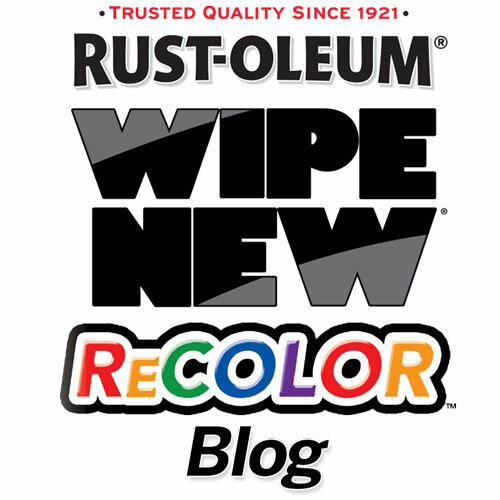 Learn more by visiting the official ReColor by Wipe New website or by exploring this ReColor blog!